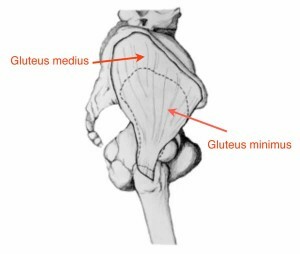 I was very excited to see your topic this week, however the popping that my students seem to experience is more in the Front of the hip and seems to be more internal. Will you be talking about that next week as well? If not, could you make it a subject in the future? Thanks so much for this newsletter. It’s wonderful! What a coincindence! I have a wonderful student that has a popping hip problem. No pain and only the right hip! Is that common? I would like to know more about how to help her . 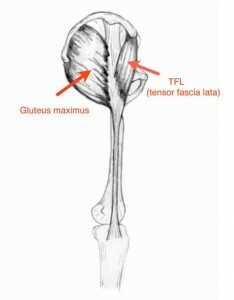 Is any pain around the hip area related to the popping or is that a completely different issue? I love your new video format and I look forward to seeing your newsletter every week. Thank you so much! Anne, Usually the type of popping hip that the student demonstrated in the video clip is not painful. That being said it is not heard of that a snapping or popping hip left unattended could shift into a bursitis or tendonitis. 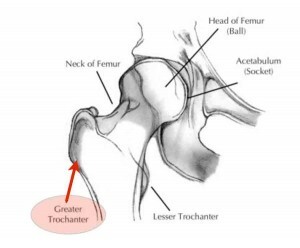 I would definitely suggest that dancers with pain at the hip joint get assessed by a practitioner to rule out some deeper challenge. And…. thanks for your very kind words! yes, i want to second Brandie because that is the kind of popping that i see most dancers having–i see the one in the video but no one seems to think it’s as much of an issue. my physical therapist sister told me the internal/posterior popping could be because of overdevelopped turnout? my ankles pop but they don’t hurt, is it for the same kind of reason? Catherine, It’s hard to say whether your ankles are popping because there is a tendon crossing over a boney part, or if there is an adjustment of the many bones of the foot. The ankle is a more complicated joint than the hip joint. Could be… try bringing your side battement more on a forward diagonal and see if that helps!